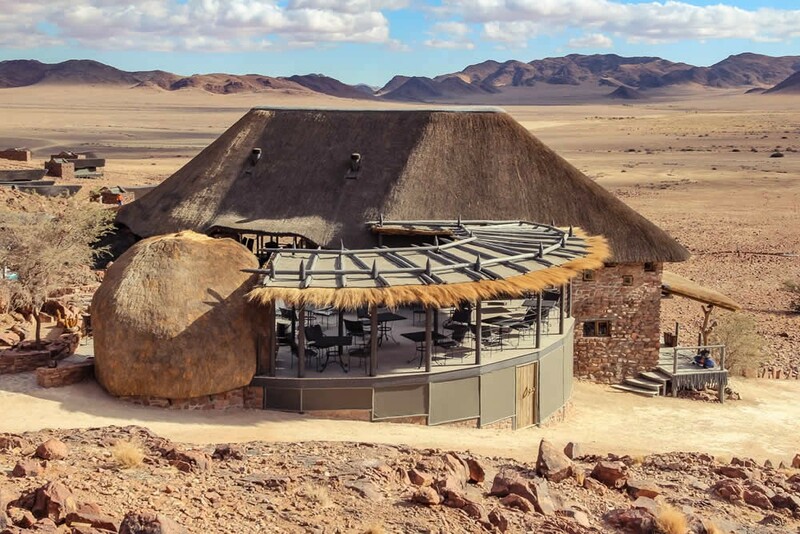 Deep in the 7000 ha nature reserve of Desert Homestead Lodge, adjoining the Unesco world heritage site 'Namib Sand Sea', the Outpost opens its gates and offers relaxed hospitality with a natural atmosphere. On the wide open plains there are often cheetahs to observe, roaming the endless grasslands. 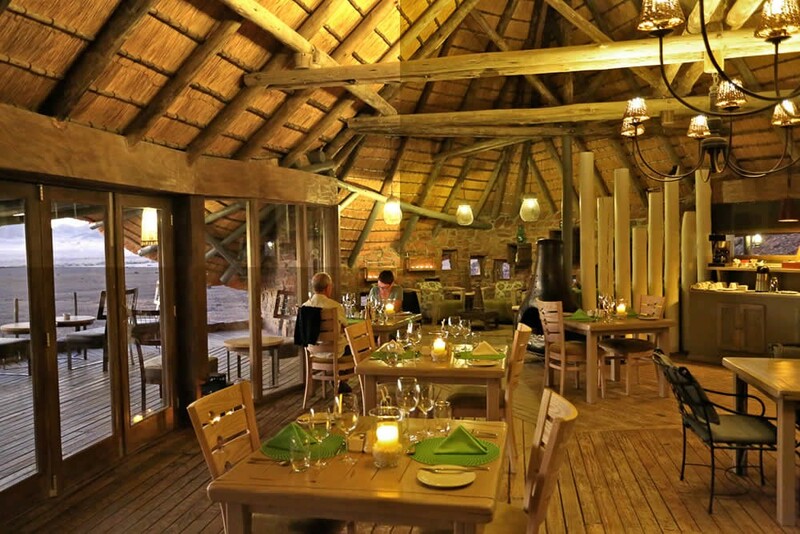 Our guests are welcome to take advantage of all activities of the Desert Homestead Lodge. 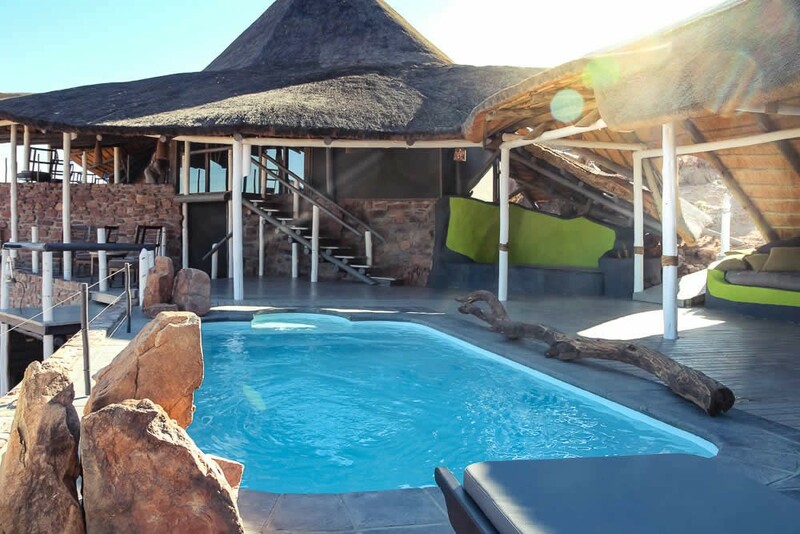 Excursions to Sossusvlei as well as horse safaris or sundowner drives. Enjoy the impressive panoramic view from the main house with Restaurant, lounge and pool area, set on the base of a mountain. 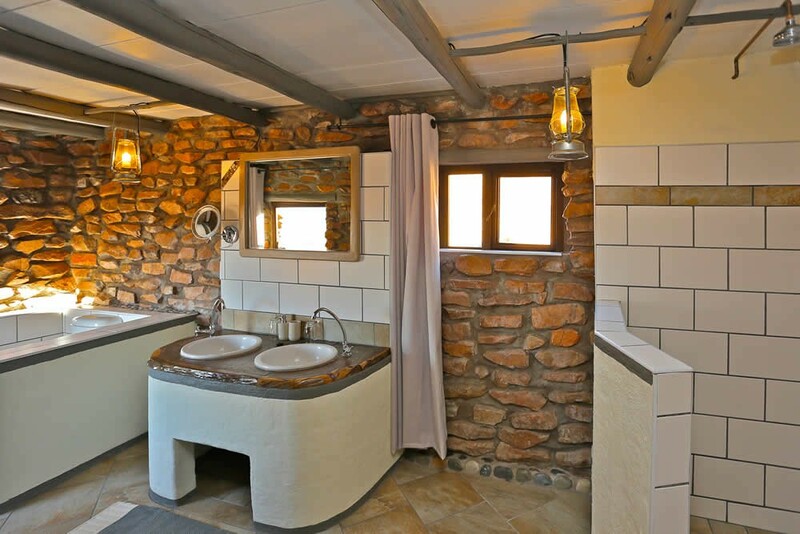 Enjoy the impressive panoramic view from the 12 houses, set on the base of a mountain. With a living space of approx. 90 sqm, it is a very special place. 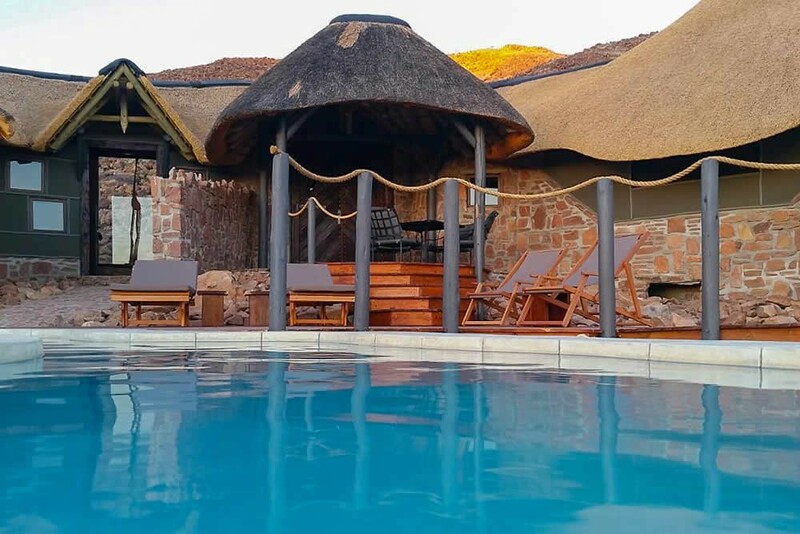 Enjoy a spectacular view over the Namib panorama lined by its mountains and the red dunes of the Sossusvlei either from the seats in the windows of the large living room window, from the four-poster bed in the bedroom or your preferred shady spot on the terrace. 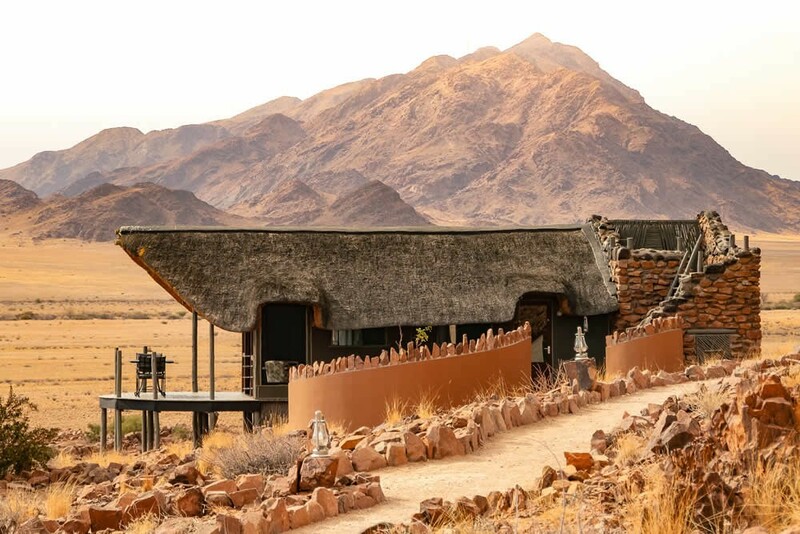 The house itself stands apart from the others and offers a genuine experience of the quietness and vastness of the Namib desert. The modern and refined interior completes the appealing appearance. This house is perfect for demanding guests expecting individuality. 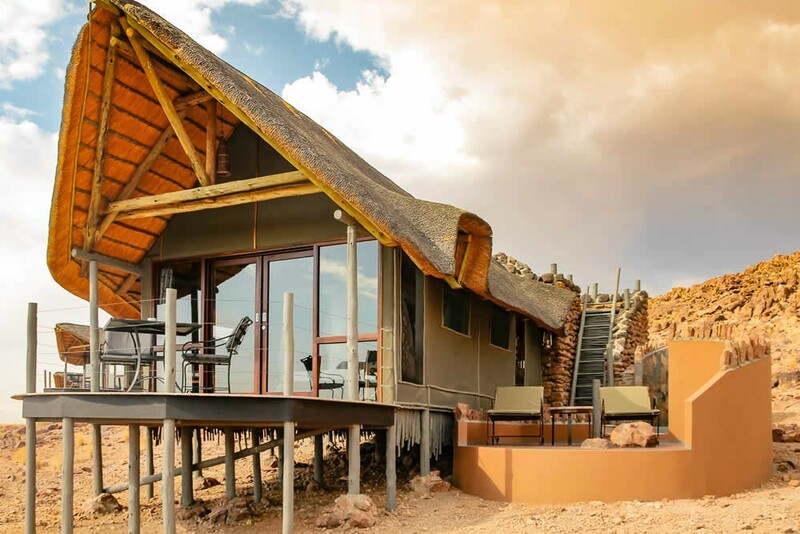 The Superior Unit of the Desert Homestead Outpost has been built in the style of a Hideaway. On a living space of approx. 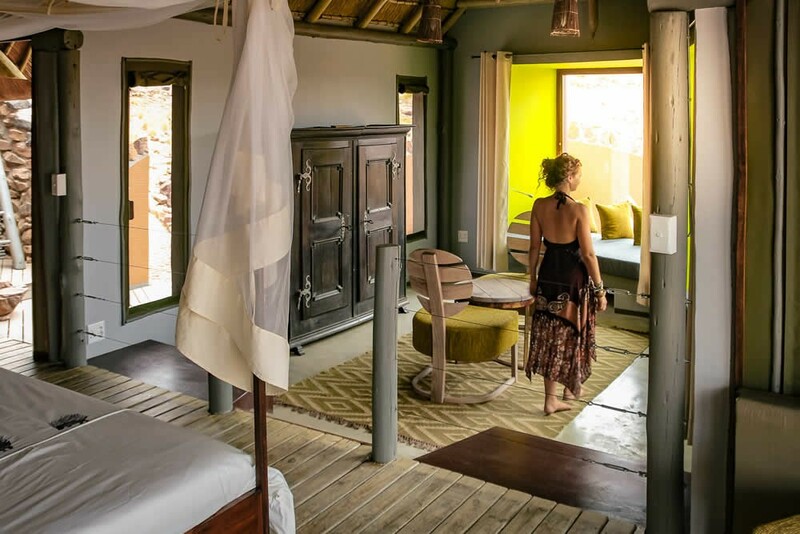 90 sqm awaits you a special place. 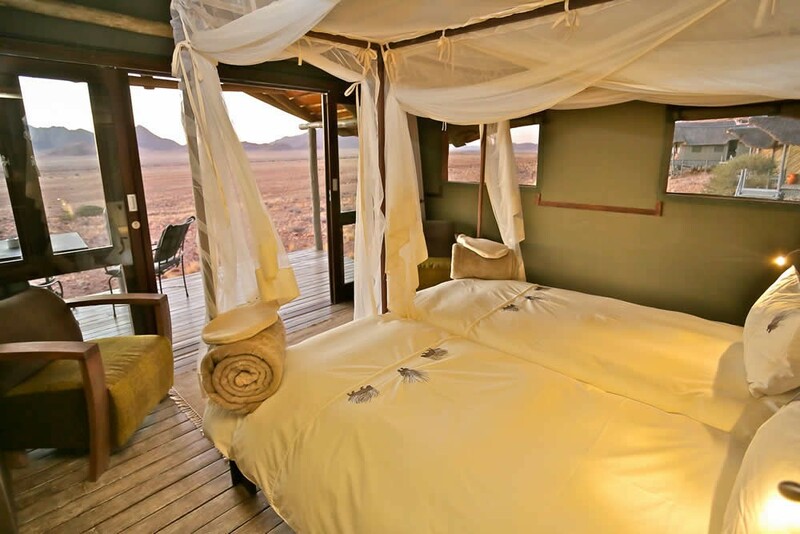 Experience the panorama of the Namib, bordered by the mountains and the red dunes of the Sossusvlei from the living room through a huge seat window, or from the 2.80 meter wide sky bed in the bedroom. 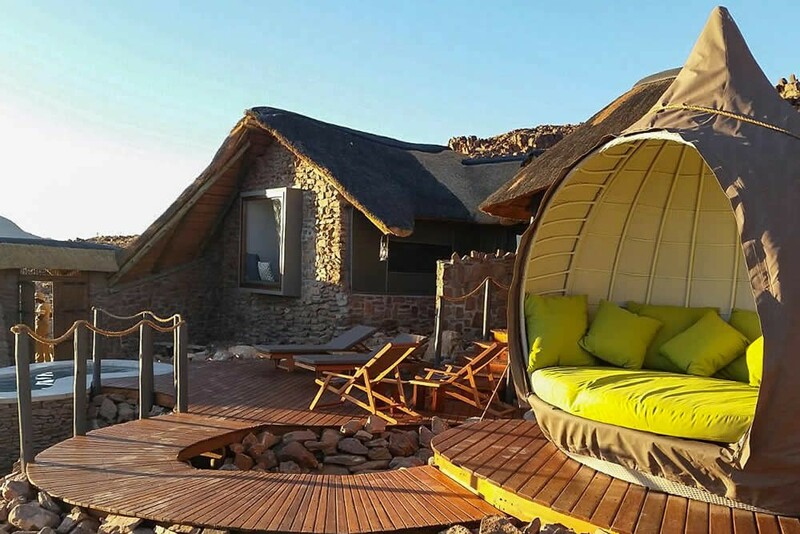 Your shaded terrace is protected from glances and accessaible by a separate door offering breathtaking views of the landscape or the starry sky. 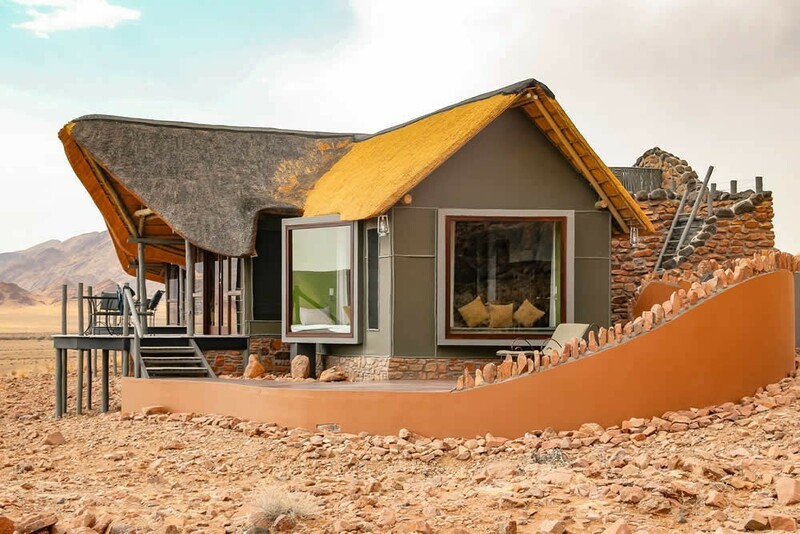 The Superior Unit is secluded from the other houses and will let you experience the tranquility and expanse of the Namib Desert. The modern and refined interior completes the appealing appearance. This house is perfect for demanding guests expecting individuality. After 92km turn right into the gate of Desert Homestead Outpost.